There are so many variables in the working world that can determine the working pattern requirements for a particular job role, or even a company as a whole. You need to take into consideration all sorts of elements, including opening hours, customer requirements (i.e. 24-hour call centre or out of hours support) and industry, just to name a few. For example, a 24-hour supermarket will need to manage staff using shift work in order to meet both its customer demand and the welfare of its employees. Whereas, an office that supplies a service or goods during the typical Monday to Friday office hours might only need a handful or staff to work the period of the company’s 9 to 5 opening hours. Like anything in life, there are advantages and disadvantages to whether you work shifts or a set weekday pattern. Ultimately, working hours are a very important factor to consider when looking for employment. After all, the time we spend at work largely influences the way we manage our time at home. Convenience: Working different shifts leaves the door open for shift-swapping and requests for certain hours pending the next rota being created. Having this leeway makes being able to manage work and home responsibilities much easier. For example, if you have to stay at home for a morning utility maintenance appointment, you can ask to work in the afternoon or evening to accommodate that need. Maintaining a good work-life balance is very important. Alleviates sole responsibility: When you work set hours, usually, your work is your work. You leave it when you finish for the day only to pick it straight back up again tomorrow. The difference with shift work is that once your shift ends, the person who starts work as you’re clocking off will take over where you finished. Avoid peak hours: Depending on the shift you’re on, there will be times when you are able to make it to work in record time as a result of the mid-morning (or whatever other time of day you find yourself commuting) lull of rush and traffic. In addition, you’ll find activities such as going to the gym or doing your weekly grocery shop much less stressful as you’ll be able to do so when most other people are at work. Not only are places much quieter during the day, but most of them have lower prices during off-peak times. That’s what I’d call a win-win! Flexibility: Want to take a day off, but have no holiday left? No problem. If you work shifts, you can speak to your manager about either swapping a shift with a colleague or simply working on a different day if the rota is yet to be posted. However, this will always be subject to availability and resource. If your team is short staffed or there’s just no way that your request can be accommodated at short notice, you might be turned down on occasion, so be mindful to let your manager know if you need a day off with enough time to arrange a suitable replacement in your absence. Not knowing what days or hours you are going to work week-on-week makes maintaining your home and social life pretty difficult. Unless you are able to get in there fast to request a certain day off, you can’t commit to plans in advance in case you are scheduled to work. Also, it’s more likely that your friends and family will have clashing working patterns to you, making socialising trickier than if you worked set hours every week. Shift changes or cover are probable. You may have been scheduled to work on a certain day, only for that shift to be dropped at the last minute, meaning that you could have gone out with your friend, after all; or, like in many cases, if another member of staff calls in sick on your day off, you could also be asked to pick up a last-minute shift, leading to you having to cancel plans. Eating and sleeping patterns are thrown out if you work night shifts – especially if you work a contrasting set of patterns each week (i.e. one week, days, and the next week, nights). Your body clock is pushed off kilter and problems such as fatigue or insomnia can potentially occur. Seniority comes first: This might not be the case in all companies; however, it isn’t unheard of for managers to take first dibs on the days and times they want to work, leaving their staff to pick up the shifts that they don’t want to do. Work imbalance: This is highly dependant on the industry in which you are working. For example, if you work in a 24-hour call centre for a nationally based company, those working late or night shifts are less likely to have much work to do during those hours as the majority of the customers will require assistance in the day-time. However, night workers in a warehouse accepting deliveries might have more tiresome work than their colleagues working during the day. Commuting: Working late at night or early in the morning when you have your own means of transport – be it your own vehicle or someone willing to drive you to and from work – is one thing; but if you work shifts that start or end at unsociable times and rely on public transport to commute, it may prove more difficult for you to get to work or home. This also brings up the concern around safety when making your way to and from work during unsociable hours. Zero-hours contracts: Most companies use zero-hours contracts when employing shift workers, meaning that hours aren’t ever guaranteed. You could work 40+ hours one week to get less than 20 the next. Not the ideal scenario when you have bills to pay. Structure: Having a timeframe and deadlines to complete work in encourages more efficient and productive working, which in turn reaps the rewards of gratitude and appreciation from your employer and fosters a sense of belonging and achievement in yourself. Knowing when you start, finish and break for lunch gives you the structure you need in order to well manage your time and workload. Work-life balance: Unlike shift work where you can’t ever really relax for fear that you’ll be called in to cover a shift last minute, working normal office hours allows you the knowledge that once you’re done for the day and you shut up shop, that’s you done. You can then simply go home, have dinner and put your feet up (or whatever else you like to do with your evenings) and be comforted by the fact that you don’t have to worry about overtime, phone calls or anything else work related until tomorrow morning. The time you spend away from the workplace is your time. Knowing exactly when you are committed to working and when you have free time to do what you like is empowering. You don’t have to feel governed by work because you’re unsure on when you’ll be put on the rota, or by the fear of being contacted to work on your day off – you can simply show up on your contracted days, work your contracted hours and be paid your contracted wage or salary. Additionally, working a 9 to 5 week means that your lunch period will be smack in the middle of the day when all other services are open and readily available to you. This way, you can complete errands during the day, freeing up your evenings and weekends for other, more enjoyable things. Income: Much unlike shift work, where you can’t guarantee to get given the same hours each week, working a fixed pattern like 9 to 5 means that you will have a steady income (unless of course you are off sick and don’t get sick pay). In this day and age, we all rely massively on our monthly pay packets, so taking home less than expected is not ideal in the slightest. Working fixed hours means that (for the most part) you can avoid this. Perception of time: While working a fixed pattern gives you a better work-life balance than shift work does, there are still downsides to working a 9 to 5 day. The first of which being that you feel the hours you work more than if you work shifts because you spend so many of your waking hours on a repetitive cycle of wake up, work, eat and sleep; while the weekends fly by in the blink of an eye. No flexibility: Working a set pattern of days and hours may make life much more straight forward when it comes to making plans and knowing when you can have some downtime, but it also restricts your ability to be flexible. If you’re committed to the same days and hours week in week out, you have automatically ruled out a large chunk of your time for making other plans or arrangements. Childcare costs: If you work a solid 8 hours a day and you have a young family, the chances are that you will need to arrange some kind of childcare for at least some of the hours you spend at work, if not all. Anyone with small children will understand the stress and financial burden of having to source and pay for decent childcare. On top of that, it can be more difficult to arrange emergency leave to look after your child if the minder or service falls through or your child is poorly one day. Overtime: Where shift work minimises the chance of being asked to do overtime based on the principle that once a shift is over, someone else picks up from where the last person left off and thus, work is completed as a joint effort; working standard hours increases the potential of needing to put in extra time to complete work to a deadline. If your employer is courteous enough to pay an overtime rate, this might not always be such a bad thing for people who want the opportunity to earn more money; but for most who are salaried, this is not always available – meaning that you put in all that extra time and energy with little to no reward. All employees are legally entitled to 5.6 weeks of holiday every year. 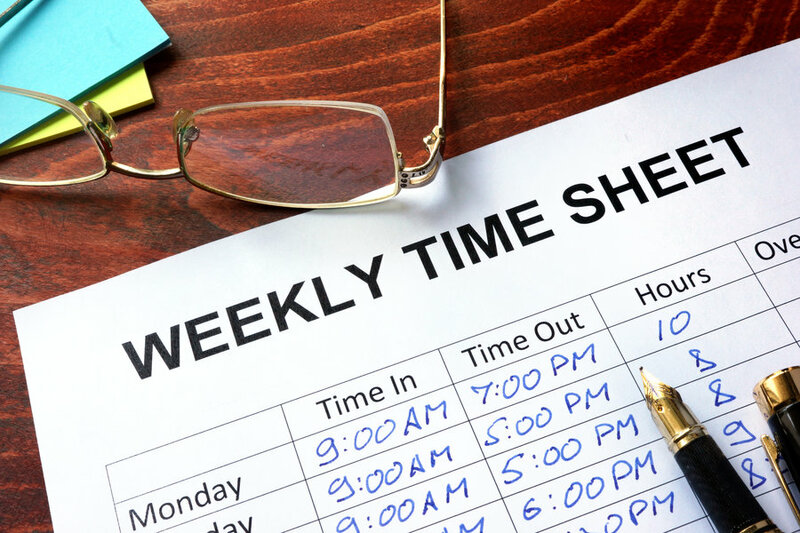 For full-time workers on five-day weeks, this should be a minimum of 28 days, while part-time workers should be awarded at least 5.6 times their weekly working time. According to Gov.uk, workers are entitled to a week’s pay for each week of statutory leave that they take (this is only for paid holiday and does not include unpaid leave or other custom absences that your employer may allow you to take unpaid). This is worked out according to the hours that you work and how you are paid for those hours. Working pattern: Fixed hours and fixed pay (full or part-time). How a week’s pay is calculated: How much a worker gets for a week’s work. Working pattern: Shift work with fixed hours (full or part-time). How a week’s pay is calculated: The average number of weekly fixed hours a worker has worked in the previous 12 weeks, at their average hourly rate. Working pattern: No fixed hours (casual work including zero-hours contracts). How a week’s pay is calculated: A worker’s average pay from the previous 12 weeks (only counting weeks in which they were paid). There are no statutory rights for employees to take bank holidays off work in the UK and any entitlement to time off will be solely dependent on the terms of your contract, regardless of your working pattern. Clarisse works as the Lead of our Customer Support Team to provide all of our customers with the very best care and guidance when using their HR software. Sadly, workplace bullying happens - do you know what to do if it does?